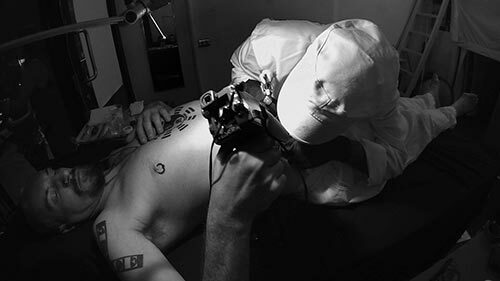 The artist recorded his tattooing with a macro camera and broadcast this extreme close up video of each numeral as it appears in his flesh, to a large screen nearby. 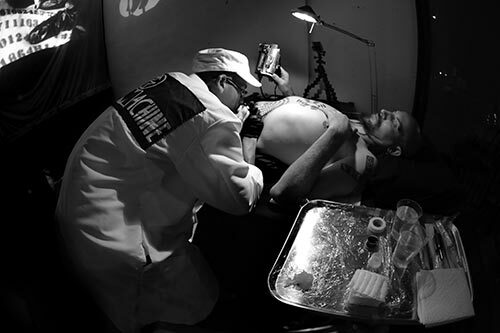 Onlookers were able to watch the tattooing or choose to watch the screen with a very intimate level of detail. 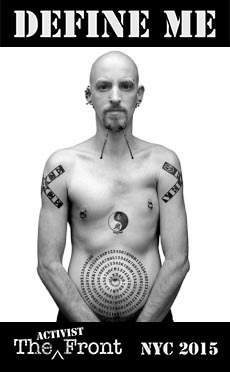 They saw the numbers draw blood and irritate the flesh; watched the realization of this spiral out from the navel, the original source of life and caregiving and the birthplace of identity (severing of the umbilical cord produces separation and is the birth of identity). 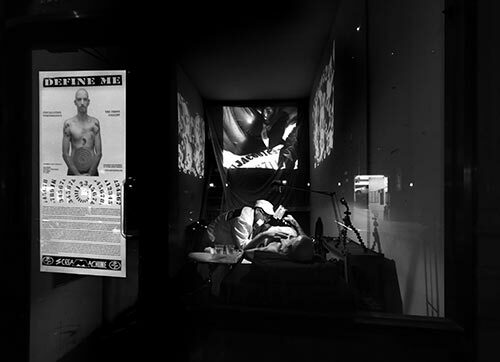 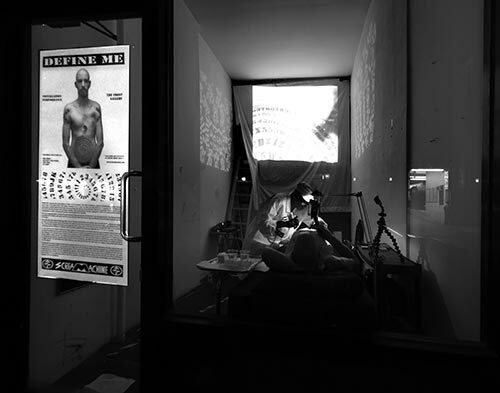 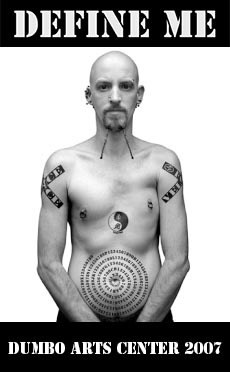 Supported by video projections, and a live camera projection, the artist was tattooed with additional characters accrued since the previous performance, over a period of 5 hours.